Be the star of your own fashion business! Today marks a three-part series as I am diving into the virtual reality of New Style Boutique 2 - Fashion Forward and becoming the star of my own fashion business. 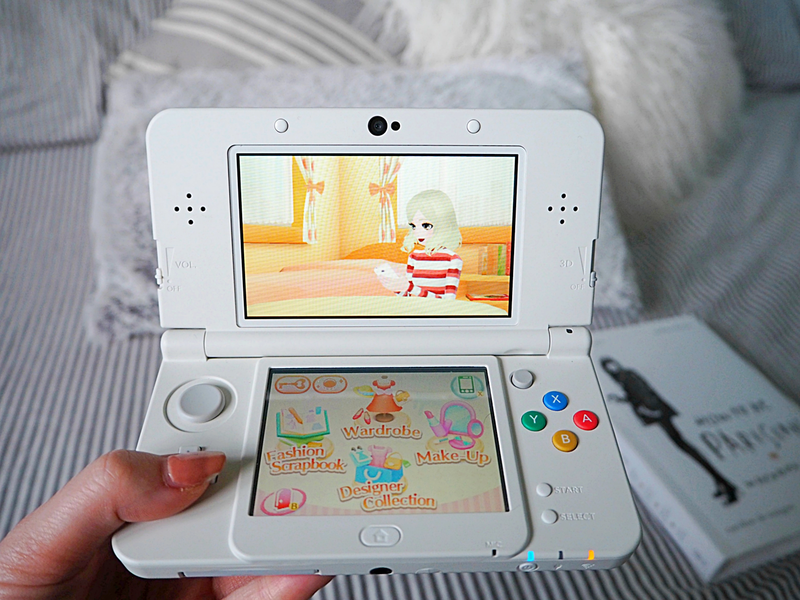 Released yesterday for Nintendo 3DS users, you can play your way through the game in your choice of fashion career - Boutique Owner, Hair Stylist, Make-Up Artist, Designer or Model. Sounds like every girl's dream, right? Well that's what I would imagine Nintendo were bargaining on with this release. You are introduced in the game to Sophie, who makes you aware that it is your job to turn the fortunes of the boutique of Beaumonde City around, whilst also living your life in this bustling little city. To start you are able to customise your avatar with a variations of hairstyles, outfits and make-up allowing you to emulate whichever style you feel at the time. 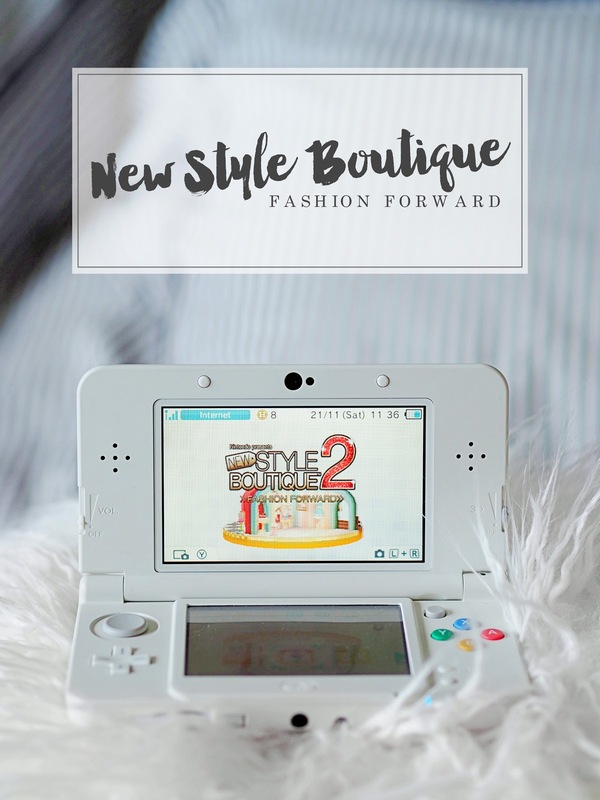 I have always been a fan of RPG (role-playing games) from a young age; which I imagine is a result of being raised by a single dad who needed to occupy two young girls, therefore I welcomed New Style Boutique 2 - Fashion Forward's style of play with open arms. For now I have been tasked with the day to day running of your boutique - which is all about dealing with customers who come into the store and ask for a particular style. I am asked to select an outfit for those customers and use your fashion flair to make them happy. To start with you are given a limited amount of stock, think capsule wardrobe, meaning you have to be style savvy so you can still let your individuality and personality shine through. From what I've played of the game so far, my first impressions are that this is a must-play for fashion fans, like myself. After around several hours of gameplay, I was unable to unlock the new fashion careers available in the game and I could switch between being a hair stylist, make-up artist, model and designer. Each role you were given, if you didn't deliver exactly to the customer needs they would pay less. I quite enjoyed the pressure to perform and please each and every customer so they were prepared to pay the highest amount for my services. By doing so, this meant I had more money in the bank, allowing myself to make another visit to the Exhibition Hall and stock up on more clothing for my boutique. This girl can never have too many clothes even in my virtual world! Amongst the madness of balancing my time between each career, a fashion show was announced, which meant I had to prep head-to-toe outfits for the catwalk and establish trust in customers to come and watch. After the success of the first fashion show put on I was able to choose outfits, hair and makeup, as well as being able to model myself in the show. Following the success of the fashion show I found that instead of the customers asking me for a particular style they wanted, they were entrusting me with free reign to create a super stylish outfit for them. I really enjoyed being creative with the boutique displays and putting outfits together in both virtual and the real world. Of all the tasks given to me, this reaffirms my desire to work within a stylist role in the fashion industry. Overall, Nintendo have done a pretty decent job of targeting an audience that many publishers simply neglect. 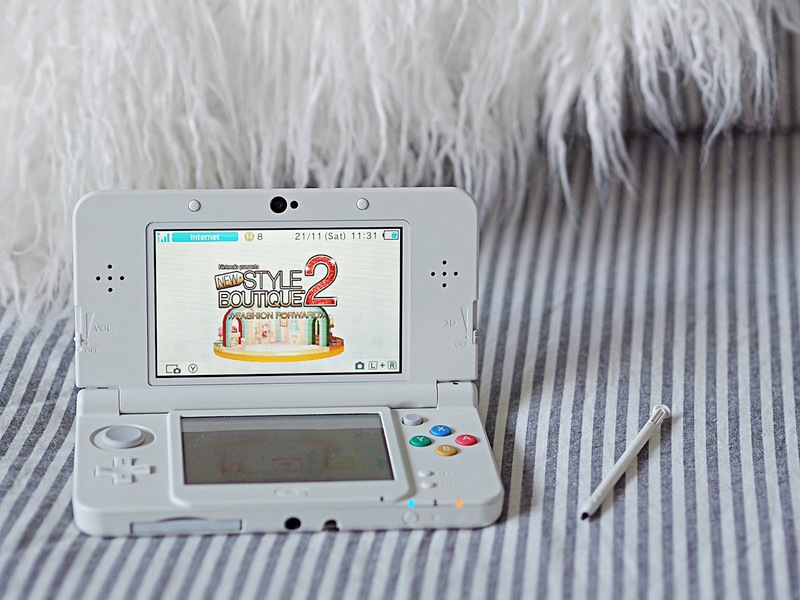 New Style Boutique 2 - Fashion Forward is fun and light-hearted however it is able to portray a realistic approach to challenges you may be faced with in the real working world. It also can be relatable to working as a blogger. You cannot be a one trick pony, thus to succeed you have to be dedicated to your readers with each role, working your way upwards to be a respected and successful individual clients want to work with. I am really enjoying switching off from social media for a few hours each night and winding down with this game. If you are eager to try if for yourself Nintendo have released a free demo that can be downloaded via the Nintendo eShop now. Alternatively for more information on the game you can visit the Nintendo website or you can visit Nintendo's Facebook page here.